The Social Secretary is responsible for managing the Ambassador’s social calendar, including official and unofficial dinners, receptions, invitations and RSVPs, and guest lists. The Social Secretary also prepares birthday/condolence notes, and gifts on behalf of the Ambassador and assists in developing the Ambassador’s trip briefs. The Social Secretary is required to work closely with his/her direct reports, Advance Person and Scheduling Officer, as well as the Senior Protocol Officer, PR & Media Relations Specialists, and Security Personnel. · Manage Ambassador’s social calendar, including official and unofficial dinners, receptions and other events outside of official meetings. Maintains invitation/RSVP log, and Residence-hosted guest lists. Prepares invitation decision-memos for Ambassador’s decision on attendance. · Assists in planning for Ambassador’s guests and coordinates Ambassador’s schedule with trip planners. Works closely with Senior Protocol Officer, Scheduler, Advance Person, Social and Cultural Team, and PR & Communications to ensure synchronized planning. · Formulate events’ guest lists for Ambassador-hosted events and manages RSVP/attendance. · Maintains continuous liaison with Residence staff for event planning and execution. 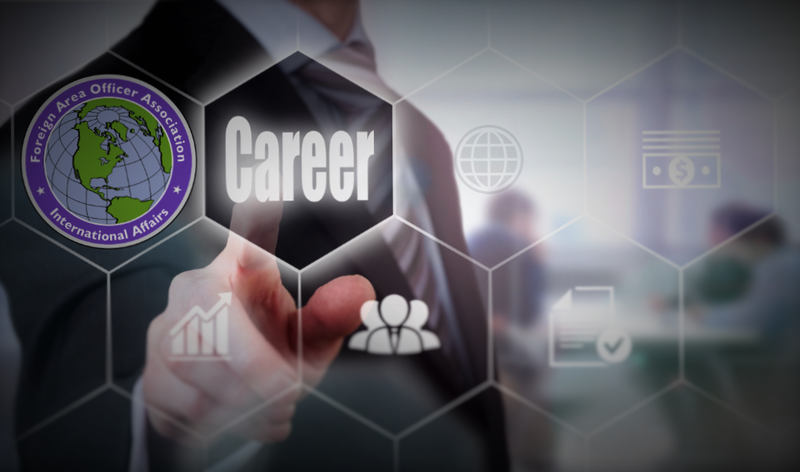 DSCA will be hiring several individuals to be part of a team within the Building Partner Capacity Directorate to help plan and design institutional capacity building components to full spectrum security cooperation. DSCA is looking for individuals with regional and institutional capacity building expertise. Announcement opened on Aug 10, 2017 and scheduled to close on Aug 18, 2017. The Specialist, Department of Defense Projects oversees a portfolio of Department of Defense (DoD) sponsored programs including The Language Flagship, the Boren Awards, and Project GO among others. This is a unique opportunity to join initiatives aimed at improving the language and culture skills and knowledge of students and future military officers in US higher education and, more broadly, to transform the way Americans learn languages. The Flagship program for example, offers pathways for students of all academic majors and language levels to pursue professional level language study in nine critical languages including Arabic, Russian, and Chinese. The Specialist designs, develops and maintains relationships with institutional grantees, and government partners. Oversees program deliverables and milestones for DoD portfolio. Manages communications with universities, overseas partners, other stakeholders and the sponsor. Drafts weekly ad-hoc or periodic reports, collaborating with other units as needed. Takes a lead role in the planning and launch of new and special DoD initiatives and projects. The Specialist ensures IIE complies with DoD instructions as well as established protocol. Liaises with sponsors, institutions, senior university officials within the DoD Program community on DoD program development, promotion, dissemination of results and best practices, problem solving, and the facilitation of a community of educators committed to the program goals. Communicates with peer POCs at the DoD for routine/daily tasks, ad hoc reports, and special client requests. Coordinates and communicates with PDG team members assigned to the DoD projects to ensure deliverables are met and excellent service provided. Designs, develops, and launches program related projects and initiatives for sponsor. Works with portfolio finance to monitor a segment of the DoD portfolio budgets as assigned by the Lead. Supports internal knowledge sharing practices based on project needs. Serves as daily liaison to internal PDG and IIE stakeholders. Informs, shares best practices and trains PDG units on Advising, Outreach & Selection, Global Events & Delegation regarding DoD projects goals. Requires a Bachelor’s degree in order to apply a working knowledge of the theories and principles in a specialized field or work discipline. Requires at least five years of related work experience. Must have experience in institutional grantee management. Must have client management experience and demonstrated ability to provide excellent client reports. Basic project management financial literacy required. Must be able to manage multiple projects at the same time. Must be growth-oriented and understand IIE's lines of business. Must be able to represent IIE at external events including meeting with the client and other key stakeholders. Experience working with assigned market sector and be familiar with the regulatory environment and manage Institutional risk accordingly. Ability to influence and lead without authority. Perform as a Subject Matter Expert (SME) on analytic tradecraft tenets and standards. Advise on intelligence, surveillance, and reconnaissance (ISR) principles, policies, and procedures. Provide analysis and training support to Air Force mission forces. Interact with Air Force and intelligence community tradecraft experts, including ISR analysis, Division Chief, and the Director of Intelligence for the Air Combat Command. Conduct analysis to develop short–, medium–, and long–term plans, including the development of learning strategies, critical thinking, advanced analytics, and learning program management. Provide instructional design and assist with the execution of operational intelligence activities. Identify program development procedures to support standardization and process improvement actions across the ISR enterprise. This position is located in San Antonio, TX. Provide a client's office with expert policy support. Perform research, analysis, coordination, development, drafting, negotiation, and adjudication of client policy instruments, including directives, instructions, policy notices, and memorandum. Provide research and analytical assessments of significant policy issues facing the agency, including recommendations for courses of action. Review and provide guidance regarding issuance from external organizations in the IC, establish comments or positions, and coordinate responses to those policies. Serve as an onsite liaison for the policy mapping function, including reviewing data collection, coordinating subject matter expert engagements, and providing regular briefings and updates to clients on status and issues. Support an Academy for Defense Intelligence (ADI) training program designed to build in-depth regional expertise. Apply regional expertise to the design and delivery of advanced Geostrategic Intelligence Seminars (GIS) at multiple classification levels. Identify and schedule guest speakers to support these advanced seminars and coordinate smaller round table discussions and large scale symposiums. Make recommendations and provide SME support to adapting training content into e-Learning formats. Assist with executing the strategic communication plan for the client, helping maintain an online presences on NIPR, SIPR, and JWICS. Contribute to a monthly online newsletter, support client leadership during briefings, conduct outreach to organizations and working groups within the IC, and find innovative ways to advertise the Regional Expertise and Culture (REC) program. GPS is seeking a Korean Instructor willing to deploy to South Korea ASAP. Candidates MUST have a TS/SCI Clearance and must have experience teaching Korean. Salary is $90-100k - tax free for being overseas for 330 days or more per the IRS. This is a full-time position with a disabled veteran owned small business (SDVOS) based in Virginia that provides professional quality services such as language/cultural services, education instruction, intelligence, and cyber technology to a global marketplace. They are seeking speakers of Pashto, Dari, Arabic, Kurdish, Chechen, Turkish, Turkoman, Somali, Turkish, Afar, Acholai, or Amharic to deploy to parts of Africa, Afghanistan, and Iraq for one year. 20 to 30 openings. Employer will assist with relocation costs. Please note US citizenship and security clearances as listed above are required.